Assistance League funds are used to help needy children obtain school clothes and supplies. Our Tutu Tutorial program helps students learn how to read and appreciate the beauty of the printed word. Assistance League of Hawaii’s Operation Wildlife program helps students understand our delicate ecosystem. Awareness of endangered animal species and their preservation is one of the goals of the program. 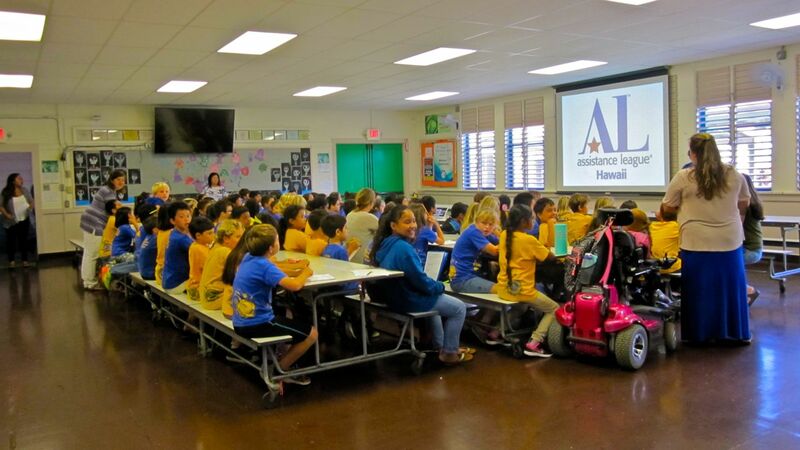 The goal of Assistance League is to assist the children and families of Hawaii to meet their needs through five philanthropic programs that produce measurable results. What is Assistance League aiming to accomplish? The mission of this organization is to provide compassionate and caring services to children and their families on these islands. Assistance League exists for the sole purpose of identifying and serving these community needs. Supplying appropriate new school clothing to students in need, has impacted the lives of thousands of school children. We work each year to increase the number of students receiving Assistance League help and support. Assistance League serves many other unmet needs in our community through our five philanthropic programs. What are the strategies for making this happen? 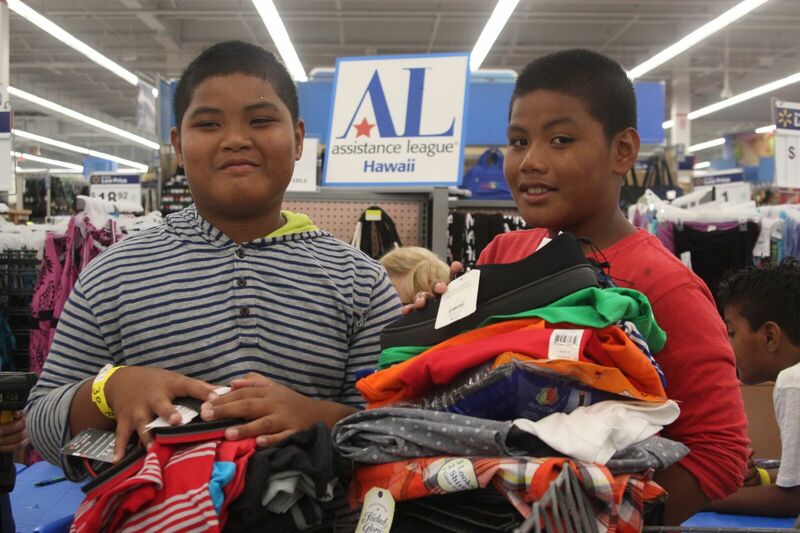 Assistance League of Hawaii provides new school clothing to economically disadvantaged children. The goal of the program is to help raise the student’s self-esteem and confidence to better focus on their purpose in the classroom. Studies show that appropriate school clothing can improve classroom performance and peer interactions. Operation School Bell® is the only program in Hawaii working directly with the schools to help dress students. Assistance League collaborates with school personnel to identify the children most in need of our support, and we act upon their recommendations. We believe that success in education is vital to each child and to the future of Hawaii. Almost eight thousand children in Hawaii’s public schools received new school-appropriate clothing last year through this program. Recipients of this program are children in the Federal Title I Program. 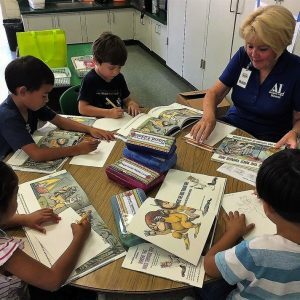 Assistance League of Hawaii also provides tutors for children in our schools who need help with learning to read. Members manage and support a local school library that had fallen into disuse. Age-appropriate books are donated to selected classrooms and to school libraries to encourage literacy. Assistance League volunteers present a conservation wildlife program to fourth grade students in our schools to raise awareness that “extinction is forever”. Approximately five thousand children and adults were impacted by this program in the past year. What are our organization’s capabilities for doing this? Assistance League’s diverse team is composed of retired school principals; business women; accounting professionals; classroom teachers; retail businesses owners; local service providers; police and fire departments; hospital emergency and maternity ward staff; elementary school counselors; healthcare professionals; investment bankers; and a wide range of professionals who bring their many years of experience to this organization. A common vision is shared: to assist children and families with unmet needs in Hawaii. The most pressing challenge is acquiring adequate funds to meet the demand. By raising awareness of the pressing needs, and of our volunteer’s willingness to work towards meeting them, we are striving for increasing financial support from the community. Each year Assistance League is able to reach more children in our communities as our ability to raise funds improves. 85% of our funding is raised by our volunteer members operating a Thrift Shop on Young Street in Honolulu. In the past two years we have surveyed our schools to learn if our clothing program has an impact. Our response has been almost 100% from our schools. Survey responders agreed that a positive impact had occurred, following the receipt of new clothing, in classroom behavior, peer interactions, and student confidence. Having the “right clothes” makes a difference in school experience. What have and haven’t we accomplished so far? Assistance League has been able to service only a small percentage of the children who live below the poverty level and whose schooling is negatively affected by their family being unable to buy books for them, or clothe them appropriately for school. Assistance League is excited about the increasing support from the community, through donations and grants. Members continue to work hard in our Thrift Shop to raise as much money as possible to support our programs. Assistance League would like to be able to help more of the children and families in need, so we are searching for more grants and donors to help reach more of the economically disadvantaged on our islands. “When children don’t have to worry about the clothes they are wearing, or what their peers are thinking about them, they can focus on the main reason why they are in school. These students have beautiful hearts and they have a desire to do well.